"It's a good job you have the Economy 7." Following a huge response to the new Irish TV show of the moment, the sensational Derry Girls has been commissioned for a second series by Channel 4 after just one episode. The series follows six teenagers Erin, Orla, Clare, Michelle and Michelle’s tag along English cousin – aka The Wee English Fella – James, as they deal with teenage life in 1990s Derry. Episode two introduced us to a whole new set of characters including Fionnuala the local chipper owner and Uncle Colm, who took the nation by storm. And the [Twitter] crowd went wild. 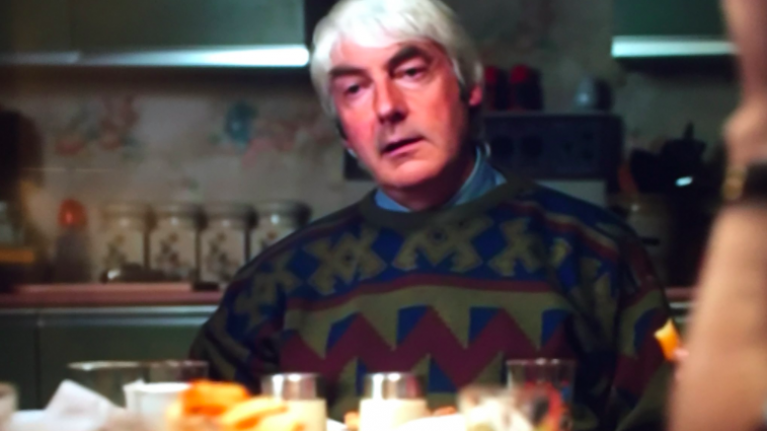 Uncle Colm was portrayed by veteran Irish comedian Kevin McAleer who was the original casting preference for the role of Dougal on Father Ted. McAleer was once said to have put the “dead” back into “deadpan”, thanks in no small part to his signature act: delivering stories in a drawling Tyrone accent. He came to prominence on Irish comedy series Nighthawks in the late 1980s and early 1990s. His accurate depiction of the relative-who-doesn't-know-when-to-shut-up struck a chord with Irish audiences on Thursday night with talks to Electric 7s and wee men with balaclavas. A class act and an even better casting decision. Derry Girls' next episode airs Thursday, 18 January at 10pm on Channel 4.